The patent-pending Ace venturi is our latest product, and the result of more than 2 years of R&D. The 3-piece venturi device offers high performance and is simple to use, easy to clean, and inexpensive to purchase. By utilizing a slightly customized stainless steel T-fitting as the structural housing of the device and designing the other parts to nest within that T-fitting, we are able to offer the product at prices far below those of our more complex competition. The Ace, as with all of our products, was designed and is assembled here in the Napa Valley. ​The Ace comes in 2 versions, one made entirely of stainless steel and the other made of a stainless steel T with FDA compliant cast urethane inserts. Each venturi comes complete with one stainless steel T-fitting as well as the two venturi components necessary to assemble the device. Assembly takes only a few seconds, and no custom gaskets or unique accessories are needed during the process -- just a couple of standard Tri-Clover gaskets and clamps to hook it up to your existing system! 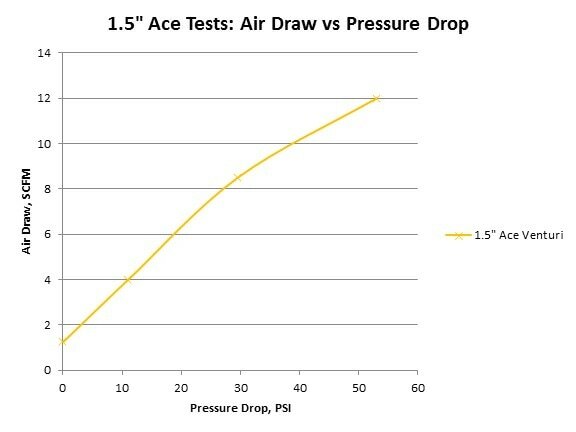 ​The Ace will be available in 1.5", 2" and 3" diameters, but is initially being offered in the 1.5" and 2" sizes through our vendors. Please learn more about the product below, or feel free to contact us or any of our vendors in the event that you have a more specific question about the device. 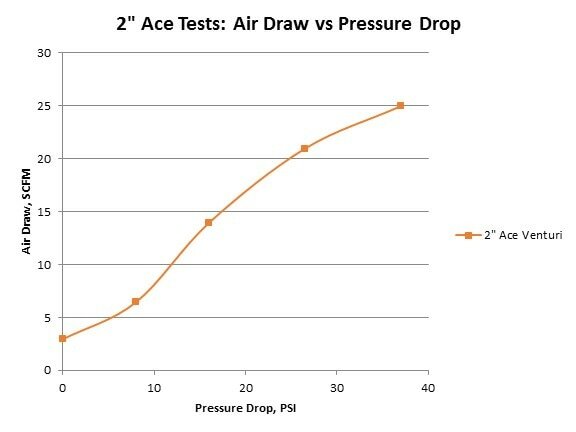 These charts were plotted using real test data to give a sense of typical air draw and pressure drop values during Ace operation. 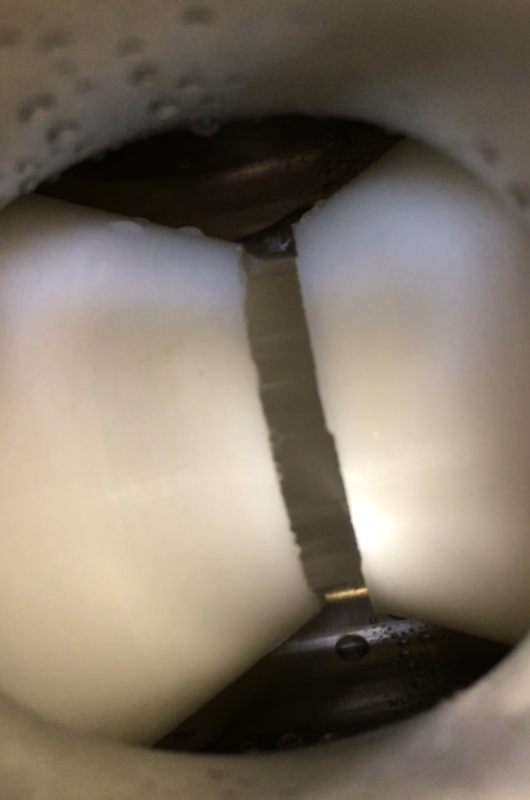 Tests were done using water, with 0 psi outlet pressure. 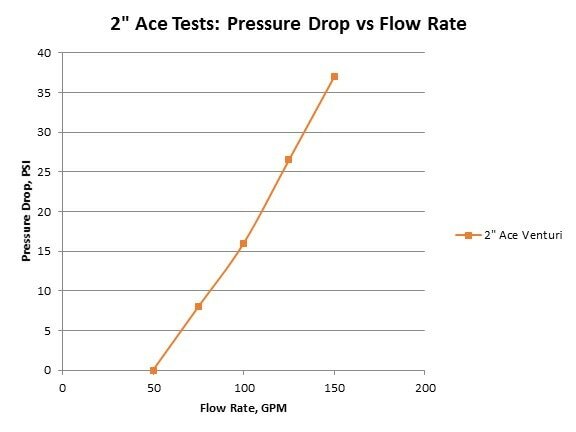 Performance across plastic and stainless steel versions of the device are identical (geometry is held constant across both variations). The goal of the Ace venturi is to provide winemakers with an easy to use and clean tool that enables a large amount of air to be gently entrained into wine during pumpovers. 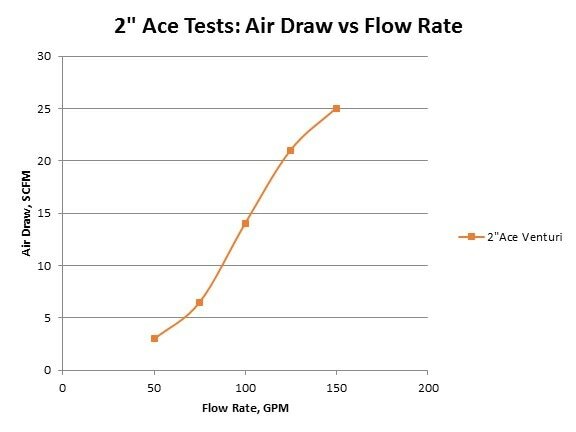 We've been hard at work testing and tweaking the complex geometry of the Ace to ensure that it is as efficient as possible in creating a powerful and high-flow vacuum, without requiring high head pressure to operate. 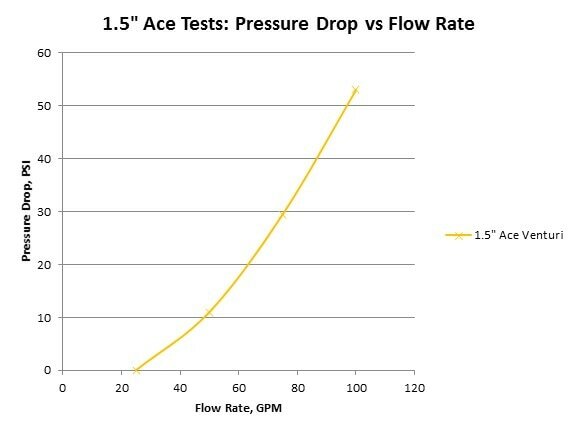 The following chart depicts how that work has paid off, with the Ace being compared to a well-known venturi device that often sells for more than 2 times as much as the Ace. 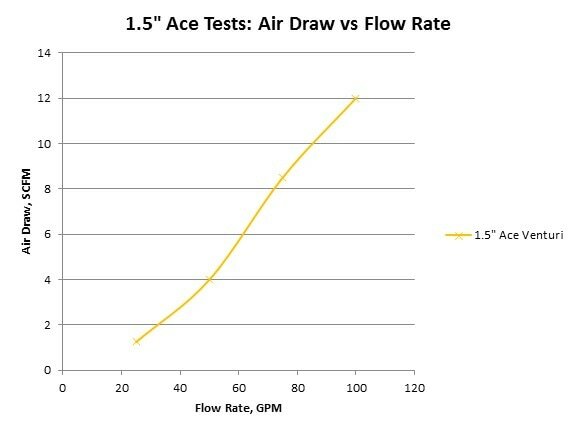 As you can see, the Ace is gentler on wine and more efficient in creating vacuum than our competition: it requires substantially less head pressure to achieve high rates of air draw. This video was filmed during early-stage testing of a prototype of our device. 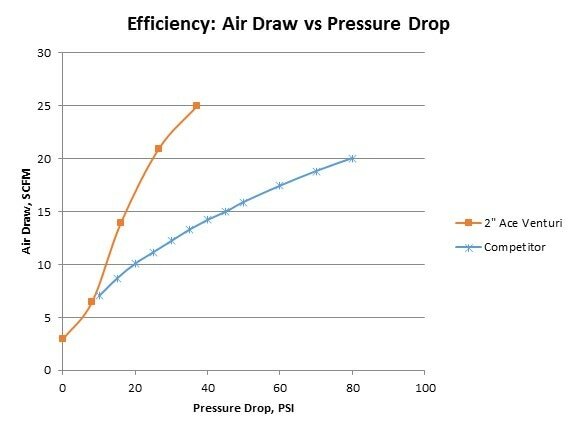 Liquid flow rate, airflow, and backpressure were all monitored and recorded to compare over 30 iterations of the device. 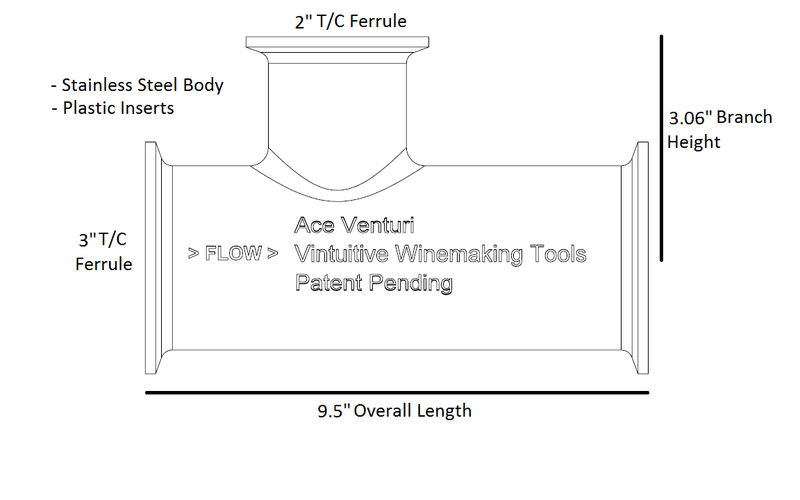 The final result is a venturi that we think offers better performance than all of our competitors at a significantly reduced cost.